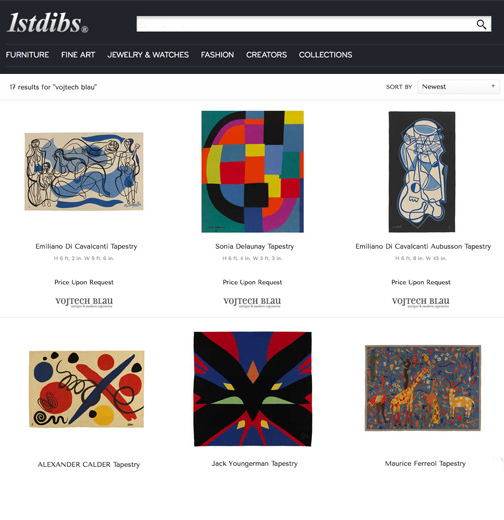 We recently updated the tapestries curated on 1stDibs, the world’s online marketplace for the most sophisticated collectors, designers and curators. Take a look here. Starting with a group of dealers hand-selected by founder Michael Bruno at Paris’s legendary antiques market, Marché Aux Puces, in 2001, 1stDibs has become the global destination for those who must have ‘first dibs’ on treasures from around the world that would be otherwise inaccessible.